New Brit here, awesome kits guys. inspired by your work I created my own twist on the ripslinger build for the kids using the colour and decal scheme from our fast hydro. very nice. 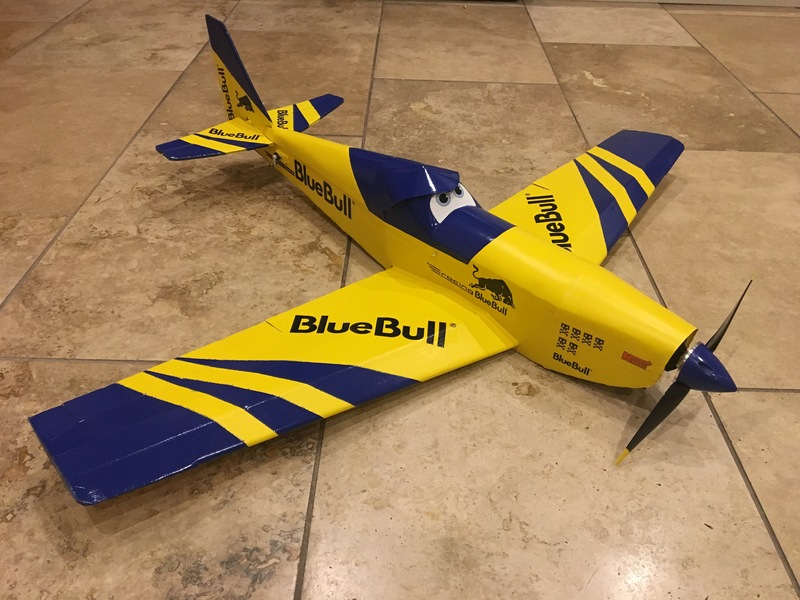 the racer is a fun plane to fly and looks great in the air. wish it was a little faster but i'm working on that. welcome to the madness. i'm running the c-pack 2215-1100kv w/ 9x4.5, a 30A ESC, and 4S-1300. it get's along ok-ish....not really a "racer" though. let us know what you got and how it works. I’m running a 1500kv 409w with 10x5, 3S 2200 for the maiden, I’ll let you know how that runs. 4S is on the cards but will have drop in size from the 2200.